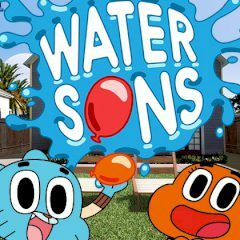 Gumball and his friends are shocked – this summer is terribly hot! Without thinking a lot, they took some water bombs and decided to refresh the passers in the street. Help them throw bombs and sluice everyone with water!